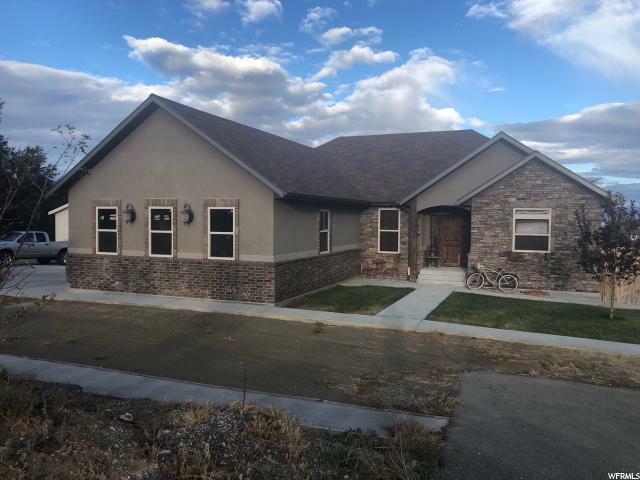 All Vernal homes currently listed for sale in Vernal as of 04/22/2019 are shown below. You can change the search criteria at any time by pressing the 'Change Search' button below. 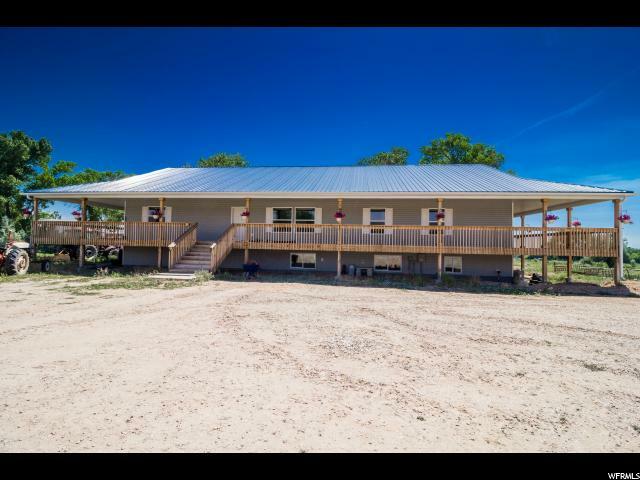 "Listing includes 2 TX ID #'s 05-101-0010 & 05-101-0009 2 shares Ashley upper, 3 shares S Stock 2 wheel lines, 3 pods & 2 hand lines approx 12 acres pasture & 8 alfalfa, property is on Greenbelt Clawfoot tub excluded Farming equipment negotiable"
"Motivated Seller! This stunning and spacious home has been artistically crafted featuring high end unique qualities with no detail overlooked. The fabulous gourmet chef's kitchen serves as the heart of the main level featuring dual 11' islands with granite counter tops, gorgeous custom maple cabinetry, large pantry, 60 gas range w/griddle, 2 farmhouse sinks, 2 dishwashers, 2 refrigerators, double commercial ovens, 2 microwaves, a warming drawer and a salamander broiler. 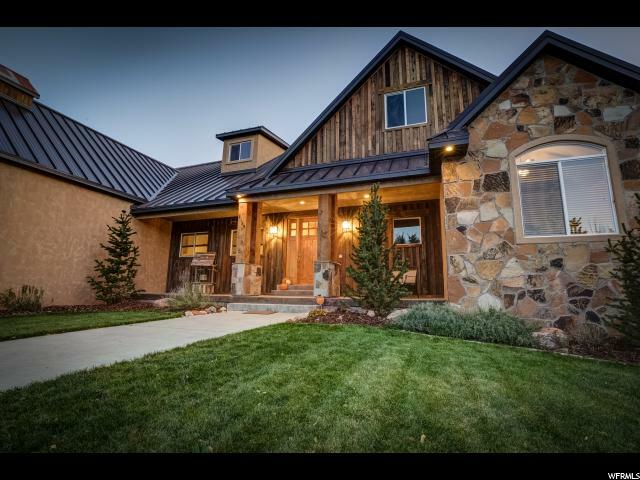 High end finishes can be found throughout the home including granite counter tops, vaulted ceilings and custom barn style doors. The lower level offers a great family gathering space featuring a theatre room, full living accommodations with a walkout onto a covered patio. Master bath comes equipped with a heated floor and a on demand hot water system as well as a steam shower. Call the listing agent and let's take a drive down the private lane to this secluded property and see what makes this house so spectacular. Buyer to verify all information. Square footage figures are provided as a courtesy estimate only and were obtained from appraisal. " "Built to Perfection! 2015 Rambler Ranch sits on 12.23 Acres of Beautiful Greenbelt Property and includes Water! This home has a Stunning Wraparound Deck, Metal Roof, Full Solar which is Owned and includes 25 year Transferrable Warranty. Very Well Executed Open Concept Floorplan. Chefs Kitchen with Granite. Extra Large Master with His and Her Shower. Huge Laundry. Full Daylight Basement with Separate Entrance/Patio. Beautiful Pasture and Orchard and a variety of Fruit Trees. Canal Runs through the Property! Water Softener, Wheel lines, and Storage Skid House included. Washer, Dryer, Refrigerator and some Farm Equipment may also be Negotiated." "Relaxing views, peace and tranquility abound here. Plenty of water comes with this beautiful property located up Dry Fork Canyon: 50.93 shares Ashley Valley Reservoir Company, 4 shares High Line Canal Company, 22 shares Ashley Upper Irrigation Company S Steinaker Stock, 2.75 shares Ashley Upper Irrigation Company, plus water well, spring and water from Caldwell Wash. Property taxes based on 36.63 acres for 2019. " "This home has it all. Beautiful brick rambler on 1.26 custom landscaped acres with a creek running through it. Basketball court, fire pit, gazebo, playground, covered patio & a 4 bay shop! RV 50 amp hookups. 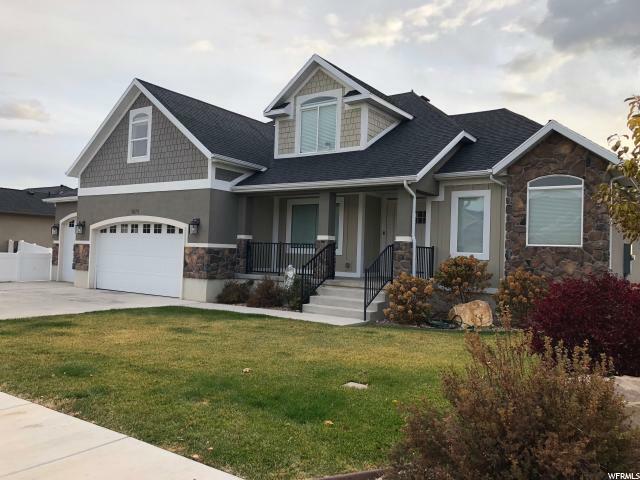 Beautifully remodeled kitchen and bathrooms with custom white cabinetry, granite countertops, oversized island, double ovens, stainless appliances and dark wood flooring. Plantation shutters throughout. Also has a beautiful basement apartment with its own entrance. Sq ft, taxes and acres per county records. Buyer to verify all information. " 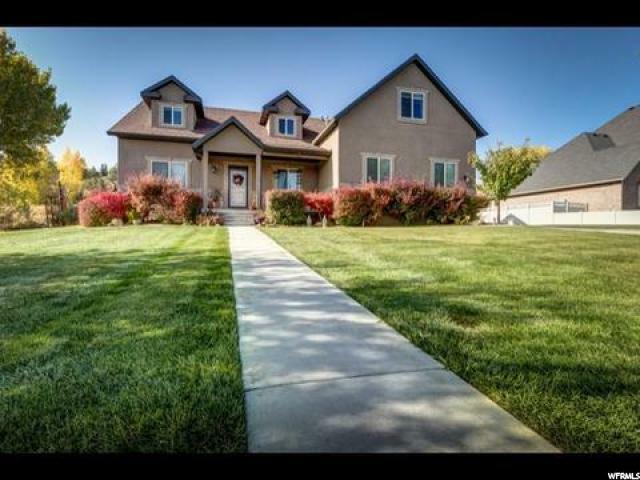 "Impeccable high end home in beautiful Maeser. Recently remodeled with a brand new gorgeous kitchen, flooring, and paint. 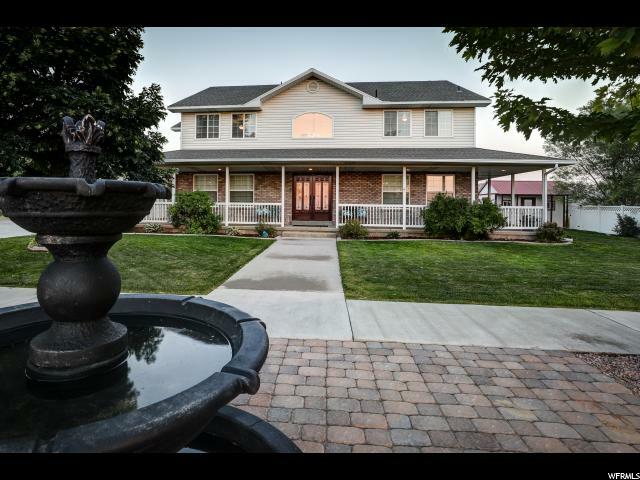 Fully landscaped with huge covered deck, hot tub, and fruit trees. Basement has a separate kitchen, 2 beds, 1 bath and entrance so it is perfect as a mother in law apartment or you can continue renting it out nightly like current owners and supplementing income. This home is absolutely perfect inside and out! 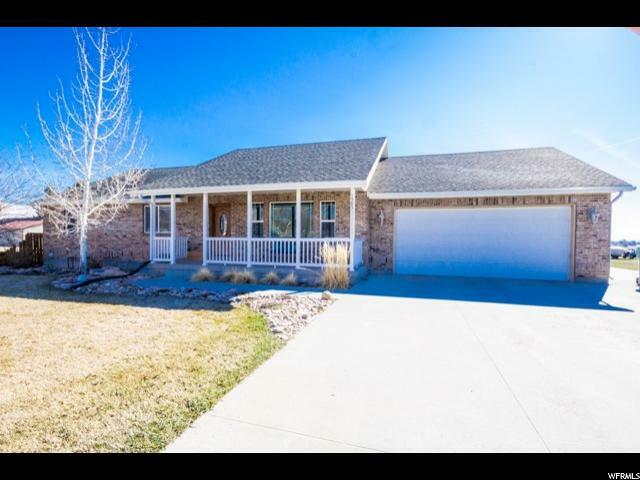 Don't miss out on this home!" "Charm, Character & Seclusion! 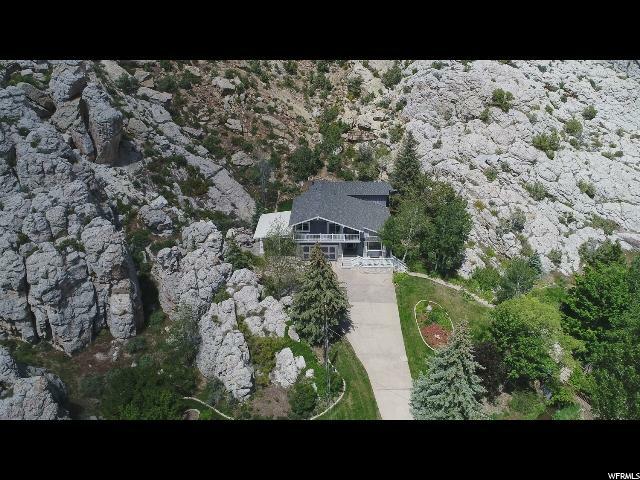 8584 West Red Cloud Loop Road Vernal, Utah! $485,000. Beautiful home on over 15 acres. Gorgeous views can be seen from every window. Throughout the house every room is flooded with natural light. Kokapelli petroglyphs on property. 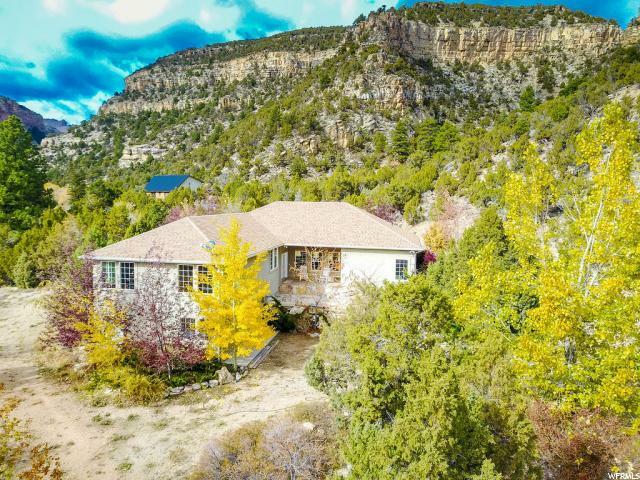 This is a one of a kind home, nestled in Dryfork Canyon.Square footage figures are provided as a courtesy estimate only. Buyer is advised to obtain an independent measurement." "INCREDIBLE home in a very exclusive area! 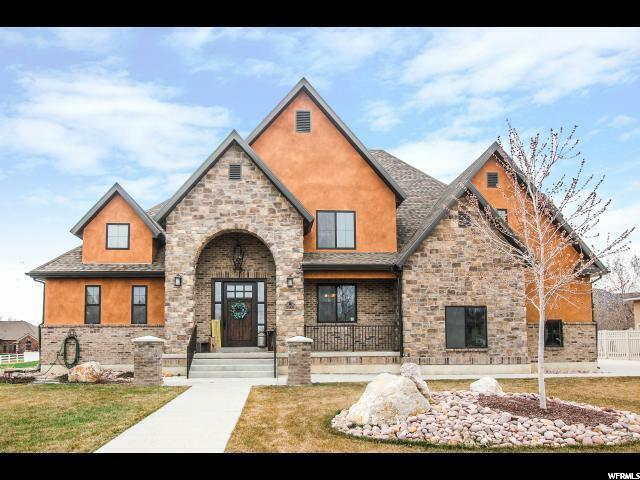 Every upgrade possible, finished yard, LAKE view, oversized garage, granite, tile, hardwood, huge master, rock fireplace and the list just keeps going! " "This listing includes 2 tax #s 04*020*0037 and 04*020*0038. This home has recently been remodeled, new windows, Kitchen, granite, paint inside and out, 2 new furnaces. Property has an orchard and a stream that runs through the front of the property, an outside fire pit, a deck built up into the rocks, sauna, and a location that is breathtaking. Rock Point canal water share. Sprinkling system can be hooked to culinary or irrigation water"
"DON'T MISS THIS RARE BEAUTY IN VERNAL! Nothing is held back on this beautiful custom home. Centrally located in town. Two-story, but all the essentials on the main level. 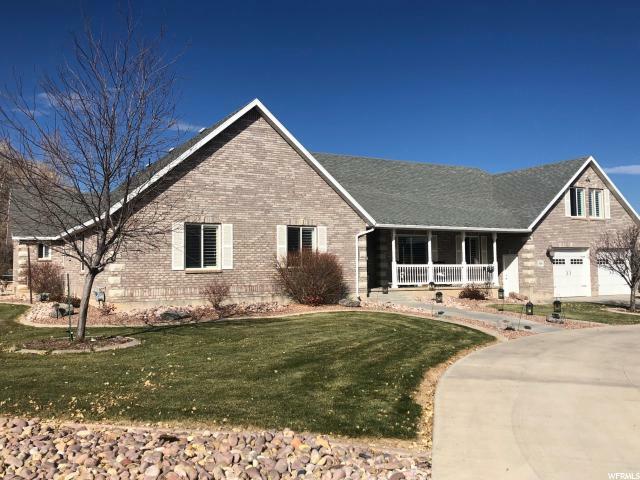 High ceilings, tankless water heater, granite countertops throughout, heating and air conditioners on each level, extra storage and a dream kitchen including a huge walk-in pantry- and completed with charming landscaping. Includes extra lot (.34 acre) which already has stubbed utilities, perfect for that dream shop you have always wanted to build. All information taken from courthouse records; buyer to verify. " 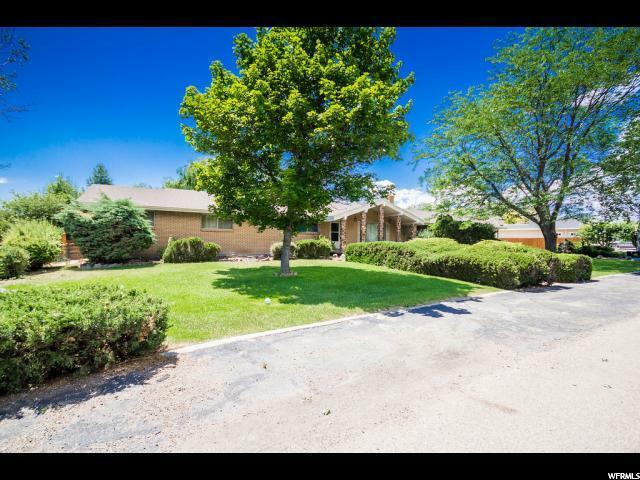 "This Beautiful 3008 SF Brick Rambler with Views of the Uintah Mountains has been meticulously maintained. Excellent in town location! A formal entry and living room to meet your family & guests, 2 additional family rooms, a spacious kitchen and a formal dining Room. Just perfect for entertaining 5 bedrooms,and 2.5 baths. This beauty is nestled on 3.84 acres. A water well, shed, and stable for horses. This home with its fabulous location and acreage will not last long. The Location, Acreage, Style and Square footage make an estate that you will be proud to call home. Call today for your private showing. " "Don't miss out on your opportunity for luxurious living in this immaculate home nestled in the heart of the quiet Rock Point Subdivision. A generous open concept floor plan joins the den area, a kitchen adorned with beautiful cabinetry, and a vaulted ceiling family room complete with natural gas fire place. Host your friends in a spacious front sitting room with French doors for privacy. The master bedroom is situated in the rear of the home and hosts a French door entrance into the master bath complete with his/her vanity and archway jetted tub. Your master bedroom also has a private exit to the rear Trex constructed deck. Having company over for a stay? No worries. Two additional bedrooms on the first floor and three downstairs should do the trick. If entertainment is your thing you need to check out the size of the Great Room and Theatre Area. Ample warm and cold storage can also be found in the basement. A certified well provides all the water you need for the automatic sprinkling system. Call for your private showing of this beautiful home." "PRICED REDUCED!! 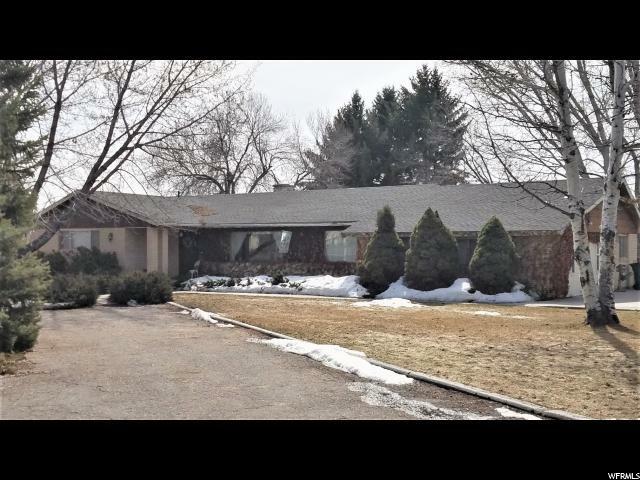 Beautiful, single level ranch style home on 5 plus acres in Maeser! 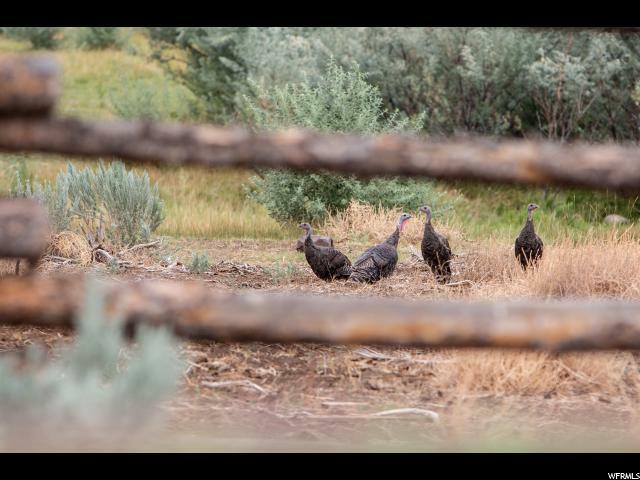 Close to town, schools and only 30 minutes from Flaming Gorge. Mature yard with fruit trees and Vegetable garden area. Large fenced pasture. Sq ft, taxes and acreage per county records. Buyer to verify all." 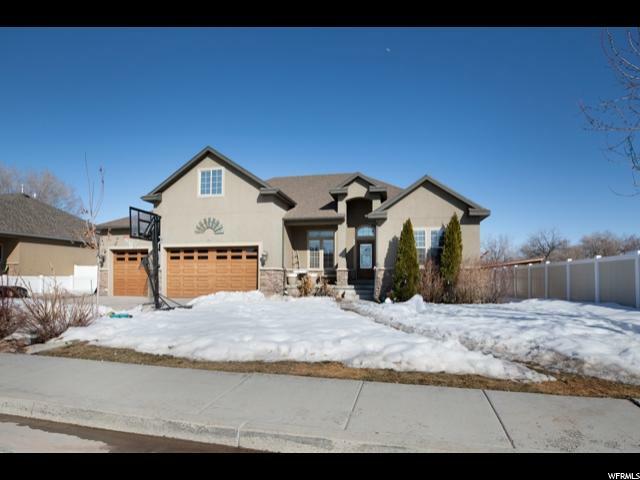 "This incredible executive/family home has all the extra upgrades you could ever desire. The basement is completely set up to live in as a Mother in law apartment , rental income, or Air B and B. 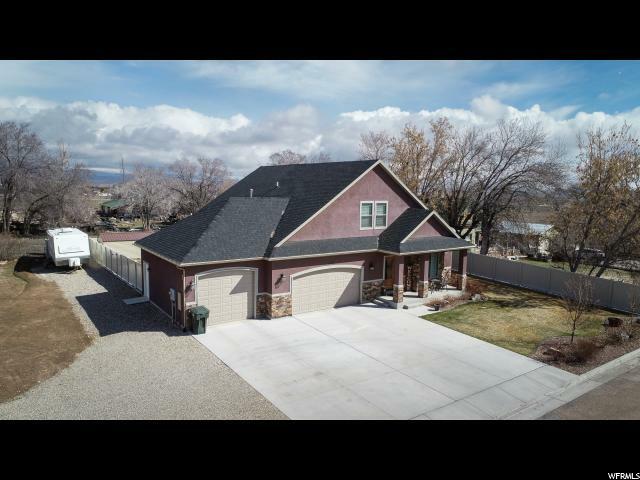 Located in the highly favored Hidden hollow Subdivision with .58 of an acre backing up to a hill for extra privacy in the back yard. This home has recently been fully fenced. There is granite throughout- chair rail and bead board and so many other upgrades. The main level has a solon which can stay a salon for the future owners - or can be converted to an office/parlor/den. There is a conditional use permit in place for use as a daycare in the basement as well. So many possibilities- this home is nothing short of a savvy investment. Square footage figures are provided as a courtesy estimate only and were obtained from Uintah . Buyer is advised to obtain an independent measurement." "Come see this beautiful craftsman farmhouse. Special features include: upgraded fixtures, foam insulation in exterior walls, immaculate kitchen cabinetry. Must see to appreciate. Square footage figures are provided as a courtesy estimate only and were obtained from County Records. Buyer is advised to obtain an independent measurement. Buyer to verify all information. " 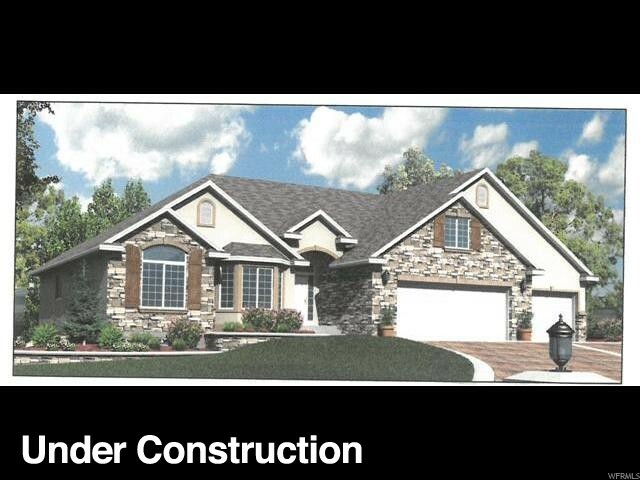 "Custom two story to be built in Hidden Hollow Subdivision. 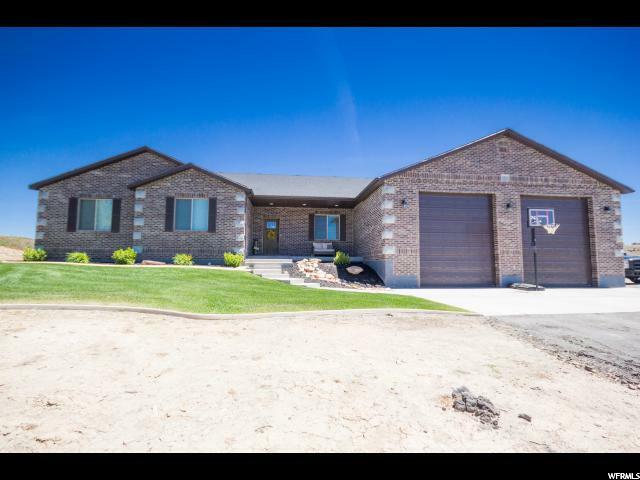 Vaulted ceilings, granite countertops, 4 bedroom/3 full baths. Third car garage is 41' deep. Property taxes are based on lot only." 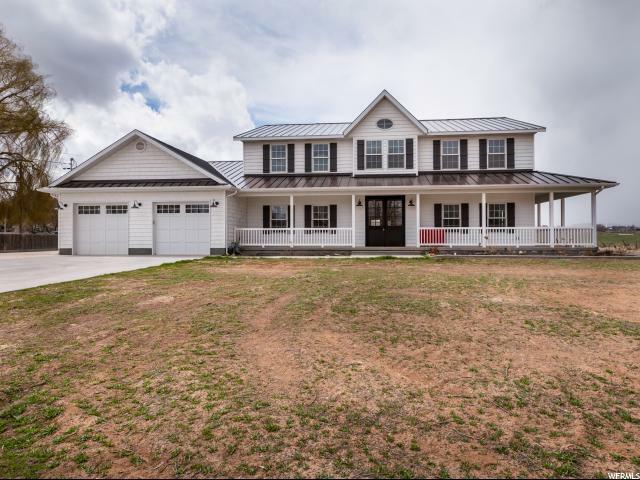 "Custom built home in new subdivision. CC&R's in place to insure a nice subdivision to live in for years to come. All higher end finishes, many can be chosen by buyer. Custom closet organizers in every room, Custom cabinets, granite counter tops, tile showers and tub surrounds, Anderson windows, High efficiency furnace, on demand hot water heater, Heated-insulated-drywall-painted garage, landscaped yard, full concrete drive way, exterior eve lighting, rain gutters. and much more.... "
"Beautiful Custom Home in Quailbrook Subdivision! 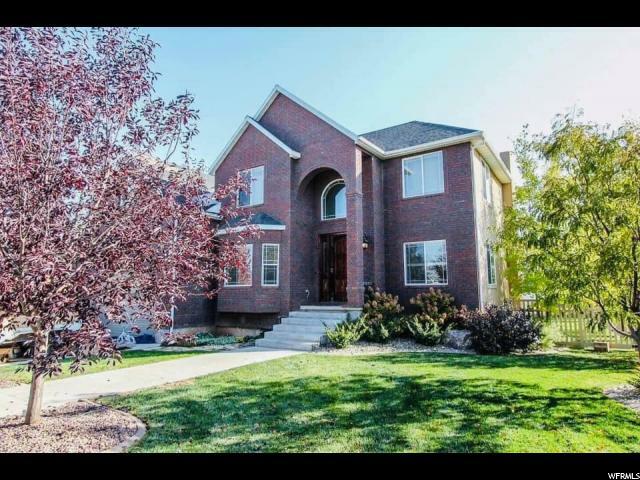 7 bedrooms, 3.5 bath, 3 car garage. Basement finished with walkout. 2 family rooms, flex room, vaulted ceilings. Beautiful landscaped yard." 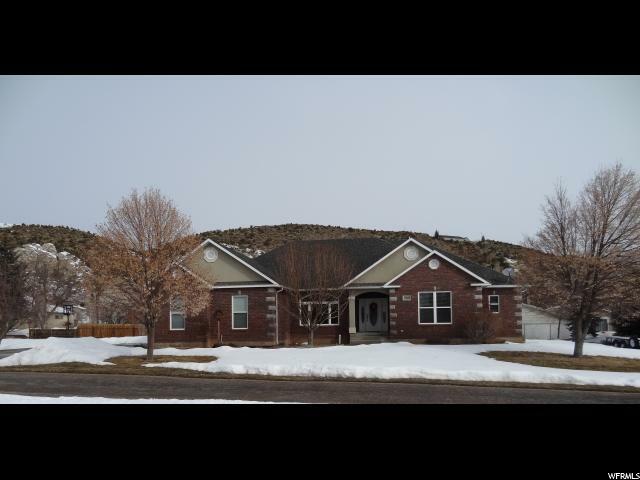 "Solid Brick home, close to town. Large 1.45 acre lot. Big rooms, large family room. Everything over sized on this house to make you feel so comfortable and right at home. schedule a time to come and take a look at the house that you have been looking for. WATER SHARES: 1/20 of Ashley central 1 of S-Stock "
"UPGRADED house in Marcella Meadows. Large lot next door is included in the purchase price of this home. Full privacy fence on home and lot. You need to make an appointment to see for yourself how nice this home is. Granite counter tops and beautiful flooring that make you feel warm and right at home. Amazing deck off of the east side of the home to enjoy the sun rise and to enjoy shade on those hot summer evenings with your family and friends. Square footage is off of county web site and needs to be verified by buyer." "This home has it all! Great country location. Beautiful custom finishes. Large master; Master bath has separate tub and shower. 2 family rooms. Downstairs has a spacious family room and wet bar. Laundry room upstairs, downstairs and in mother-in-law apartment. Walk out back on to a large covered deck that overlooks the fully landscaped backyard and fire pit. Great home for entertaining. 2 Car attached and 2 car detached garages. Mother-in-law apartment on the back side of the detached garage. Sq ft, acreage and taxes per county records. Buyer to verify all information." "Dry Fork Canyon Horse property. This is a horse lovers dream. wonderful well kept house with barns and corrals and pressure irrigated pasture. Beautiful views, located at the top of dry fork canyon. You have to see this one." "Beautiful 5 bdm 3 and half bath home, full finished basement with a kitchenette that could be used as a mother in law apartment. 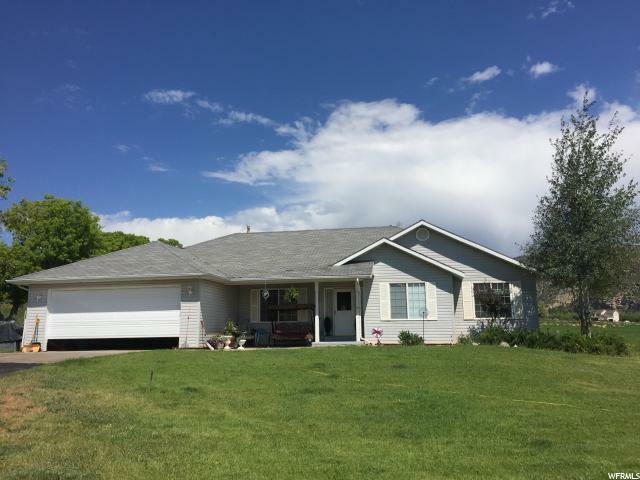 bdms are all good sized , huge Master Suite with jetted tub and separate shower, big kitchen with island and granite counter tops, lots of cabinet and counter space, nice in town location, within walking distance of recreational center. vinyl fenced back yard, fully landscaped yard, walk out deck from dining room to back yard, mature trees, full automatic sprinklers, 3 car garage. Must See! Easy to Show! "